What would I learn in the program? Our graduates often say LJC is a life-changing experience. They tell us the group discussions, teaching moments and class projects enrich them professionally and personally. Each phase of our program focuses on our core mission of cultivating and developing informed and involved citizens working to make the community better. Our class participants develop their own leadership style, but we focus on a collaborative leadership model. Class members are expected to attend a two-day Opening Retreat in September (not an overnight experience). The Retreat is so important because you get to know more about your fellow class members and yourself. We jump right into discussions on leadership and the Johnson County community. Thereafter, the class meets a full day once per month — when we learn about a key topic or issue in leadership and our community. Also, you will be expected to participate in a Class Project Team throughout the program. The project teams present their research and recommendations at the Graduation Ceremony. The teams meet periodically throughout the program term. Project outcomes often depend on time invested by the team members. How do you determine who is selected for the next class? First, we welcome you to apply! We are always looking for committed participants from all walks of life! You don’t have to be a CEO or president of a company or a well-connected community organizer. You need to be a resident of Johnson County or have worked here for at least two years. Applications are due in mid-March for the next year’s class. A selection committee of alumni, board members and staff review the applications and pick between 25 and 35 for the next class. The class selections also are based on geographic, occupational and ethnic diversity. How much does the program cost, and who pays for it? 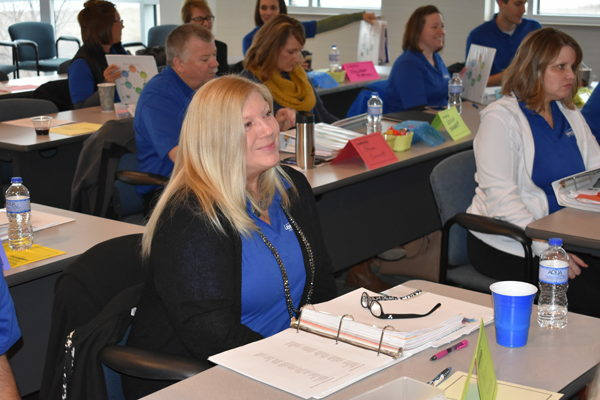 While sponsorships and contributions from individuals and our partners help cover our costs, the program fees support just 30% of the cost needed to enable us to produce one of the most outstanding leadership programs in Indiana. If selected to the program, your fee is $1,250 – or $125 per class. A class day includes leadership training, community awareness enhancement, breakfast, lunch and snacks throughout the day. Sometimes, your company or organization might cover some or all of that fee. They consider your participation as an investment into a future leader. We recommend you discuss this with your company or organization. Also, scholarships are available. You can contact us at 317.738.8264 or email us. Who decides what is taught in the program? We discuss and analyze lots of interesting topics about our community and leadership. While some of them are consistently on the agenda each year, we often modify the focus and approach as events and time change them. We always ask class members to provide feedback on the discussions and teaching moments to help us improve the program each year. Our decisions regarding class time and topics are truly collaborative! Who are LJC Select Programs for? LJC Select offers a variety of programs in different areas of business, management, leadership, communication and nonprofit governance. 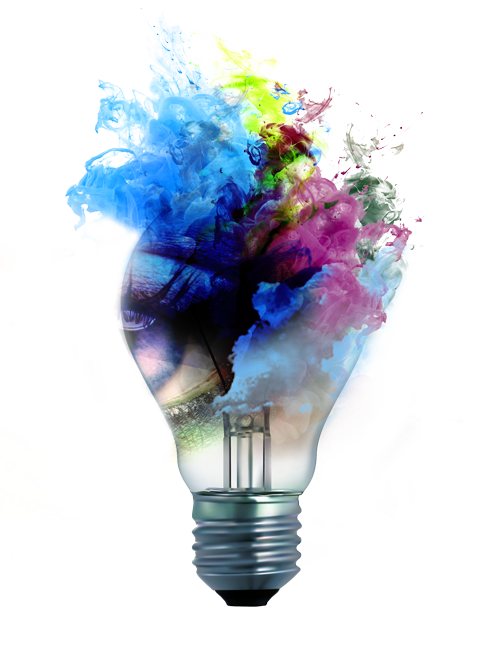 Workshops are targeted at different levels of management and experience, so there is something for everyone. At any given program you will find a diverse group of leaders from across central Indiana and representing various types of organizations. LJC 2.1 is the only workshop that requires prior participation in the Signature Program. What Can I Expect from a LJC Select Program? LJC offers professionally delivered workshops and seminars by bringing in top notch speakers from around the state. 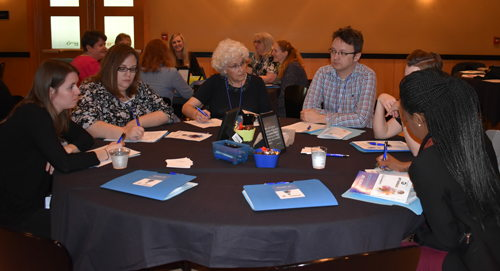 Select workshops differ by topic but will always include an opportunity to network with other participants, experiential learning, and up-to-date curriculum. How Do I Take Advantage of More Than One LJC Select Program? Whether you are looking to attend multiple programs yourself, or would like to bring a team from your office or nonprofit, we can help. LJC offers discounts for groups over five and also has a limited number of scholarships available based on need. The LJC Punch Card offers a great savings opportunity for a variety of programs and can be used in multiple ways to meet your needs. LJC Select Programs are held in various locations on the Franklin College campus. Franklin College is conveniently located just south of Indianapolis off I-65 in Franklin. Ample parking is available and all buildings are handicap accessible. Registration links are all online and participants will find these links under each of the programs. If you are bringing five or more participants to a workshop, LJC offers a discount. Contact Kelsey Kasting at kkasting@franklincollege.edu or call 317-738-8794 for more information. What Do You Want to Know About LJC?